House-church leaders to serve sentences in remote, harsh prisons. 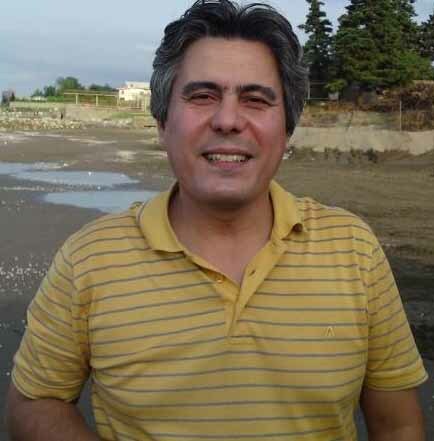 ISTANBUL, Turkey (Morning Star News) – In what was termed a “serious blow” to house-church leader Behnam Irani, Iran has sentenced him and two other Christian leaders to six years in prison for their involvement in house churches, human rights groups learned this week. Irani, Abdolreza Ali-Haghnejad and Reza Rabbani, all leaders in the Church of Iran, were sentenced on Sunday (Oct. 19) for “action against national security” and “creating a network to overthrow the system,” catch-all terms the Islamist government uses to suppress Christians and political opponents it perceives as threats. The sentence was “a serious blow” for the family of Irani, lead pastor of the group, said a pastor in direct contact with members of Irani’s family. When the verdict was handed down, Irani was already serving the remainder of a prior five-year sentence for his involvement with house churches. Irani’s wife, Kristina, is resolute in her faith and in her devotion to her husband but needs prayer, said the pastor, who cannot be identified for security reasons. Irani won’t be eligible for release until 2023, according to Middle East Concern (MEC). As part of their sentences, the three Christians will be transferred from their current locations to other prisons in remote areas around the country, according to human rights groups. Ali-Haghnejad and Rabbani will be transferred within days to Minab Prison on a remote island in the Persian Gulf. Irani will be transferred to Zabol Prison on the Afghanistan border. There is some confusion however, as to when Irani will be transferred. Some human rights groups said the transfer will take place within days, but others said he will be transferred sometime in 2017, when his prior sentence is complete. Charges were leveled against Irani in part because he contacted family members and others by mobile phones that had been snuck into prison, according to Rob Duncan, a researcher at MEC who specializes in Iran. The sentence amounts to a form of exile to put him “out of the way” from any support networks or family, Duncan said. “He was certainly contacting people, and they basically want to remove him as far away as possible from opportunities for visits,” he said. Jason Demars, president of Present Truth Ministries, an evangelical group that works in Iran, agreed with Duncan’s assessment. Once he is transferred, Irani’s wife would have to take a two-day bus ride to see him. Demars said there are other concerns about the prison selected for Irani. The three converts from Islam had originally been charged with “Mofsed-fel-arz” or “spreading corruption on Earth,” which carries the death penalty. But those charges were reduced on Oct. 2, according to MEC. According to Demars, the capital charges were filed and then reduced as part of a ploy by the Iranian government to avoid international scrutiny for the six-year sentences that would follow. All three Christians have longstanding problems with the Iranian government because of their faith. Irani, lead pastor of the church in Karaj, was first arrested in 2006 for evangelizing and holding house-church meetings. He was released on bail in January 2007, but in February 2008, a court sentenced him to five years in prison but immediately suspended the sentence, essentially giving him five years of probation. Irani continued his work and was arrested again on April 14, 2010. Authorities charged him with spreading Christianity, attending house-church meetings and committing other crimes against “national security.” He was released on bail in June 2010. In January 2011, Irani was convicted and ordered to serve a one-year sentence in prison. But on May 31, 2011, when he showed up to start serving his sentence, he was informed that the suspension on the five-year sentence had been revoked. Iranian officials raided Ali-Haghnejad’s home in Bandar-Anzali on July 5 and arrested him and two other Christians. They also confiscated Christian materials, including Bibles and a computer. Ali-Haghnejad is a leader in the Church of Iran movement in Karaj. The two others arrested at his home are now serving sentences previously ordered in court. Like Irani, Ali-Haghnejad has a longstanding history of arrests dating back to 2006 because of his faith. He has faced numerous charges, including actions against national security, blasphemy and, in 2011, a charge of propaganda against the state for drinking Communion wine. Little is publicly known about Rabbani, an assistant pastor in the Church of Iran group in Karaj. 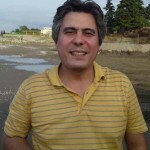 Agents from VEVAK, Iran’s internal security agency, arrested him on May 5. He was then transferred to Gohardasht Prison, also known as Rajai Shahr, where he was tortured, human rights activists said. Activists also reported that three converts, Shahram Ghaedi, Heshmat Shafiei and Emad Haghi, were all arrested on Sept. 27 during a raid on Ghaedi’s home in Isfahan. Ghaedi, an actor, is well known for his depiction of Jesus in the Iranian version of the Jesus Film. According to MEC, all three men have been taken to Dastgerd prison. Iranian officials recently released three Christians arrested during two days of raids in Ifshan that started on Sept. 1. Moluk Darvishi, Hamidreza Borhani and his wife Zainab Akbari were released late last month, but Mohammad Taslimi, a worship leader, and Parsa Dadkhah remain detained in Dastgerd prison, according to Christian Solidarity Worldwide. The location of Sepideh Morshedi, Moluk Darvishi’s sister, who was also arrested in the raids, remains unknown. Also recently released on bail were two converts, Mehdi Vaziri, 28, a graphic designer, and Amir Kian, 27, a musician. On Aug. 12, security officers arrested the two at a house church in Tehran. They were being held in Ghezal-Hesar prison, in Karaj, according to MEC. The terms of their release are unknown. The church here in the USA needs to keep men and women like Pastor Irani in their prayers. We need to do all that our faith and conscience prompts us to do to support him and others like him. Why is the plight of men and women like him mentioned so infrequently in our churches?